As you may have noticed, I’ve written a string of negative book reviews recently. Here, at last, is one I really liked. 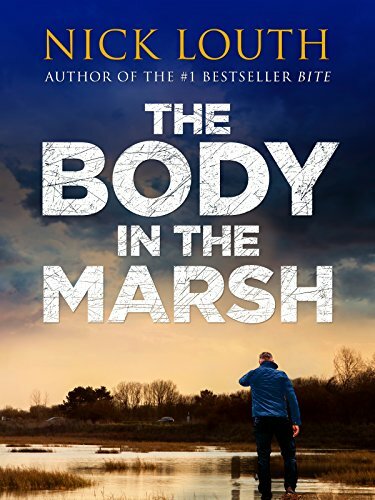 The Body in the Marsh, by Nick Louth, centers on Detective Chief Inspector Craig Gillard, who operates in southern England. Craig rescues an attractive woman from a mountainside while rock climbing, and believes he’s stumbled onto a good thing when he learns that she’s fun to be with and a fellow cop – though a lowly constable. But he begins to neglect her when he gets caught up in a case of a woman’s disappearance. Liz Knight, the wife of a prominent criminologist who’s been very critical of the police recently, has disappeared. Soon after that Knight himself disappears. Craig has a personal reason for being concerned. Long ago, Liz was his first love. She dumped him to marry Knight. If – as looks increasingly likely – Knight has murdered his wife and fled abroad, Craig has a double motive for hunting him down and seeing him imprisoned. But it turns out it’s all a lot more complicated than that. Craig will have to reevaluate his whole life because of the shocking things he’ll learn. The Body in the Marsh is a first-rate (though not flawless) detective thriller. The characters are complex and layered, and Craig’s passion catches the reader up. I thought there were a couple weaknesses in the plot, such as coincidences, but the whole thing worked together very well to give me a very exciting reading experience. I saw hints of liberal politics, but they weren’t shoved down my throat. Highly recommended. Cautions for adult language and situations.